I was curious about the idea of being able to customize the tone quality of my soprano mouthpiece, because after switching from a curved soprano to a straight, I was missing the "dark" quality while also wanting to try a bit larger opening than usual. With SYOS's fine tuning process I was able to basically get the exact setup that I'd hoped for and will be switching over on alto and tenor as well! 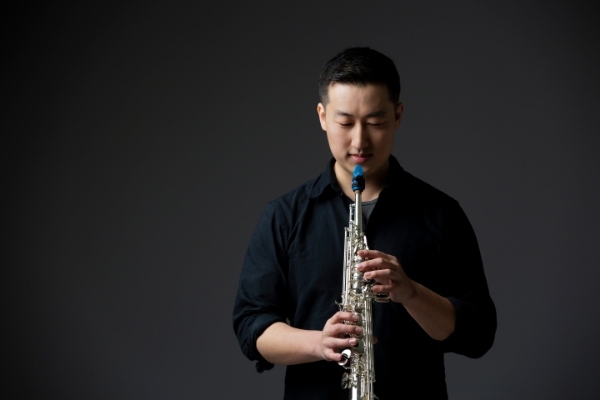 Sunjae Lee was born in Boston, MA and began his music studies at Rivers Music School from an early age on piano, violin, and saxophone, and later attended the New England Conservatory Preparatory program before going to University of Rochester to major in Chemistry while also studying upright bass at the nearby Eastman School of Music. After moving back to Boston, he released 3 albums as a leader between 2007-2009 under the Pure Potentiality Records Label. Deciding to pursue a career in Natural Medicine, he moved to Portland, OR to get a doctorate in Naturopathy and Oriental Medicine, during which time his jazz group Kin Trio released the album "Breathe" on PJCE records and performed in the PDX jazz festival. In 2014 he moved to Seoul, Korea to practice Naturopathy, and in 2016 won the Jarasum Int'l Jazz Festival Concours Competition Grand Prize and Best Creativity Prize with his trio. Continuing to stay musically active while maintaining a full time job as a Naturopath, his latest CD, "Entropy", was released with celebrated trumpeter Peter Evans, an old friend from Sunjae's days back in Boston. He is also an active supporter of the underground jazz music scene in Korea, managing two jazz series in the Itaewon and Seoul Forest neighborhoods.